Question: How do RVers handle health care? How do you get prescriptions, apppointments with MD’s for routine check ups, and emergency care? This might be an issue for fulltimers or anyone on the road for an extended period. We have medical insurance which offers us a Point-of-Service plan. That means that even though we have to use in-network doctors for the best price, we don’t have to designate a primary care provider. So that makes it easier to go to doctors anywhere. Even if you have coverage such as we do, it is not easy to get a doctor to see new patients or ones they may never see again. And it makes it easier if you can return to the same doctor every year – for consistency and to establish a relationship. For our routine exam, we use a doctor in Florida – since we tend to return to the area to visit family each year. We schedule our annual exam for when we plan to be in Florida. Our prescriptions are done via mail order plan to get the 90-day supply pricing. We can have them sent to our mail forwarding service – and have them forwarded from there, based on where our travels take us. Or, if we are in a particular place for a while – for example, in Florida, or workamping assignments – we have the prescription mail service send them directly to where we are located. Nationwide pharmacies such as Walmart can fill your prescriptions anywhere you happen to be. If you have a plan that ties you to doctors/providers only in a specific state or geographic location, then this should be factored into your selection of a home base state…since your address will probably be used as a basis for medical coverage. We’d love to hear from others about how they manage healthcare as fulltimers, or while on the road. My wife has RA. We have taken a year off from our part time RVing. 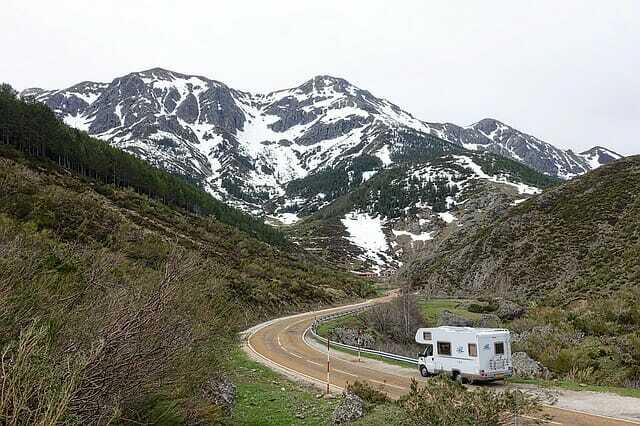 In 2013 we bought a new motor home with plans to spend at least 8 months a year traveling. Then up pops the new pain management laws. It stopped us in our tracks. We have been trying to find a solution to at least get us out 3 months. No solution yet. I have Rheumatoid Arthritis and we are hoping to go on the road and live the RV lifestyle. Is anyone out there in my shoes, where you’re able to get your pain med prescriptions for 3-months at a time, before having to return to the same doctor…or just how do you do it? We have an HMO. We would love to hear from you. Thank you! Question: How hard is it to travel if you are under the care of a physician for pain management? Issues with getting prescription refills on pain meds are a concern as pain doctors won’t prescribe without a visit and if you are on the road, you cannot always get back to your own doctor. Does anyone have any experience or suggestions about this? Answer: We don’t take pain medication, but for our regular medications we successfully get our regular medications on the road. We visit our regular doctor when we return anually to Florida. We use mail order services to have our prescriptions mailed to either a location where we will be staying for a while, or to our mail forwarding service. In emergencies, we have been able to have our doctor call in a prescription to a local pharmacy where we are on the road. We welcome other input. Feb 01, 2012 Pain Med. My husband and I are traveling, looking at fulltime. I take oxycodone for pain, and have found myself between a rock and a very hard spot. The Dr. back home won’t write without seeing me. He’s on the east coast, and I am currently on the west coast, have been to a couple of clinic’s here, and only spent money and time to find out they do not fill pain medicationss, and have asked point blank if they did. Any idea what type of Dr. might write a prescription for a pain medication refill? I just dealt with this situation. I was coming from Colorado and going to Texas – thinking that my doctor could call in the script to Target. Well, in Texas, if it is a narcotic med, only Texas doctors can write a script for Texas locations. That put me in a very bad situation, when you depend upon that med. So in turn,I had to find a doctor that was willing to write a script for the amount that I was accustomed to. That was very difficult. So cheap before you leap – each state is different, given the abuse of narcotic drugs lately. With all the drugstore giants (Walmart, Walgreens, CVS) we had no problem with prescriptions during our year on the road. We kept our scripts with Walmart and filled them anywhere with no problems.